Is the rush to visit places before they disappear actually hastening their demise? Amid fears of irreversible coral bleaching, an increasing number of tourists want to see the Great Barrier Reef ‘before it’s too late’. Image: Paul Arps, Diving for Nemo (Australia 2010), licensed under Creative Commons via flickr. The Great Barrier Reef was in the headlines this summer as researchers found the reef was experiencing the highest level of coral bleaching on record. UNESCO included the Great Barrier Reef in a draft report on tourist destinations at risk from climate change  and celebrities such as Ellen DeGeneres urged the Australian government to protect this unique and increasingly threatened ecosystem. Concerned about the effects of an “in danger” UNESCO listing on the reef’s US$5.2 billion tourist industry, the Australian government is reported to have requested that UNESCO remove all mention of the Great Barrier Reef from its report, in return for assurances that Australia would do more to protect the reef and cut damaging agricultural runoff by 80% in the next 10 years. Although the Australian government is concerned that an ‘in danger’ listing will reduce tourism, a recent survey found that one of the main motivations for many tourists visiting the reef is its threatened nature and therefore they want to see it ‘before it is too late’. This desire of tourists to seek out vanishing places, species or cultures has been termed ‘Last Chance Tourism’ (LCT), and is recognised as a trend of increasing importance within tourism. Other popular ‘last chance’ destinations include the Polar Regions and habitats for mountain apes in central Africa. 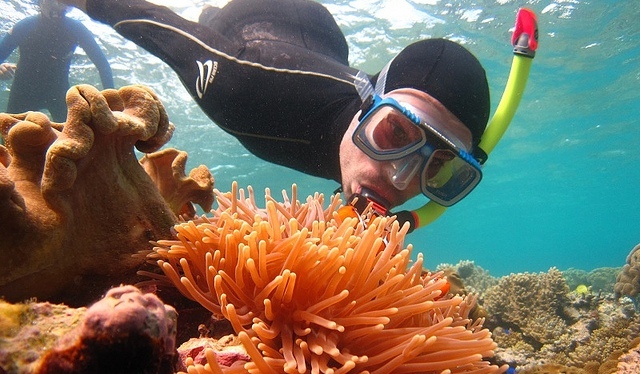 Interestingly, the same survey found that those visitors to the Great Barrier Reef who were seeking a ‘last chance’ experience were also more likely to be aware of and concerned about the ecological health of the reef and about environmental issues in general (such as climate change). At the same time they did not consider their activities as tourists (such as contributing to carbon emissions through their travel) to be linked to damaging effects on the environment. In the case of coral, carbon emissions could have a doubly damaging effect by contributing to higher sea temperatures and lowering the pH of the ocean. Since tourist visits to these fragile destinations can have a large impact, both positive and negative, it is important to understand the motivation behind this desire to participate in Last Chance Tourism. The lexicon of tourists and travellers abounds with lists for collection: the phrase ‘see it before it disappears’ has been added to ‘must see lists’ and ‘bucket lists’. The collection of places and experiences can be displayed to others via photographs, souvenirs, and writings, even more so in the age of the internet and social media, and such displays play a role in the traveller’s social status and image of themselves. Theorists of tourism have long discussed the enduring appeal of rarity and how “the acquisition, consumption, and/or ownership of these rare products conveys social prestige and status.” Last Chance Tourism can be understood as a part of this desire to collect rarity, as well as an urge to learn more about parts of our world that are at risk and to try to help in saving them.